Idles about and chews grass. The comment about not being able to rename your Black Lamb isn't true. I just tried it and it worked fine. If that did problem did exist, then Blizzard has since fixed it. So... funny thing - if you rename your Black Lamb to something, you can NOT change it back... because "this name contains mature language" (black, I'm presuming). Way to go, Blizzard... you've risen to the point of trolling yourself. Finaly after routing elwynn forest for a black lamb 4 times killing every black lamb avail, i got my rare, so just realised, as ime not much of a patient person, persistance pays off :) whooop. This was the first rare I ever encountered. At that time, I didn't realize that rarity was random; I just figured Black Lambs were rare. In any case, I caught him, and I might level him up as part of the achievement because he was my first. Lots of breeds, so make sure you grab the one that fits your style. I went P/S, 289 power and speed. Hoof if you want a solid attack against undead. My favourite use is Chew and Stampede, surprisingly many does not use avoidance. This combination really destroys Decoys. It does ok, can often go pretty even damage wise and will probably leave one opponent with Shattered Defense debuff. Soothe is pure nonsense and Comeback is pretty crap as well. I was doing the Eastern Kingdoms Safari Achievement, decided to log on to my warrior on alliance side. The very first Black Lamb I encountered was Rare. H/B. If you find that you got the bug where your Eastern Kingdoms Pet tamer achievement isn't recognizing that you have the Black Lamb OR the Wharf Rat, DO NOT release them if you already have them. Just go capture another one, the bug has been fixed. I don't see many comments about trouble finding rares among the others. I haven't had any trouble finding black lambs to fight all over Elwynn Forest but I have made a very thorough circuit fighting them all at least 7 times and partials circuits when I had to cut my time short at least 3 times and after killing what feels like hundreds I have yet to see a blue level. I had to battle about 50 to get a rare, and they are spead out and take a while to respawn. Good luck! I have caught about 5 lambs and I have battled nearly 100 of them so far and I can't seem to find any lamb with the 12,22 breed. The only ones I got so far was either 8,18 or 10,20. Does anyone know if the 12,22 breed is still available? after reviewing the reports of problems with the safari achieve, i released the lamb i had and captured another (it was a rare!) and it did count toward the achievement. 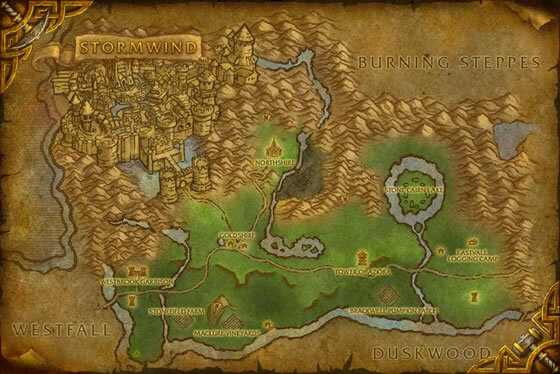 Same prob my lamb didnt count for ach - i contacted Blizz and have been told that "We are aware of an issue affecting this pet causing it not to track in the Eastern Kingdoms Safari achievement, and our QA team are working on a fix at this time. We apologise for any inconvenience this may have caused, but our QA team have been able to correct the issue so that newly caught pets will count towards the achievement." Chimeretsu, I have the same problem. I have tamed two Black Lambs but it has been not counted in the acievement. I filed a ticket with support and I'm still waiting to hear back. Anyone else have this pet but not getting credit for it for the safari achievment? I have both a poor and a common Black Lamb and the achievment still shows I need it..and the elusive Baby Ape to complete it. Found a rare one of these just outside the Stormwind gates, near the crazy cat lady's house. This battle pet is the Frog destroyer. 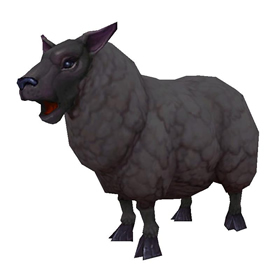 Offspring of the black sheep, the black lamb is only found in the forests of Elwynn.